A collaborative design allegory by Marcel Wanders. Online and hand-made book. 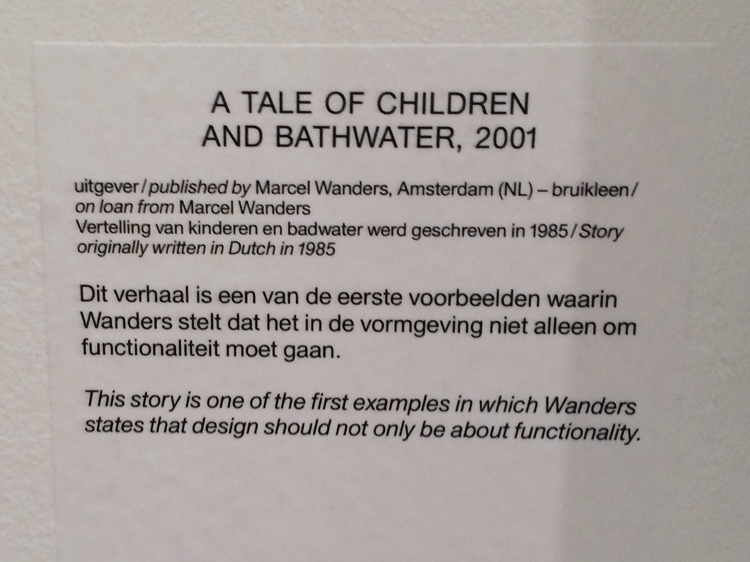 A Tale of Children and Bathwater is a personal allegory written by designer Marcel Wanders. I was approached by the designer to create the visual concept and illustrations for this story. Together we created an online "book", existing only in digital form, and accessible through the designer's website. Later, I was asked to create a physical hand-made book to display at the exhibition Marcel Wanders Pinned Up, Stedelijk Museum, Amsterdam. The book was also used in an accompanying film, which depicted hands turning the illustrated pages one by one. Instead of a traditional narrative, it was agreed that each passage of the tale would be conceptually linked to a corresponding design object. As the exhibit describes, "This story is one of the first examples in which Wanders states design should not only be about functionality."